While still known for sporting some of the industry’s top onboard bling, Emirates has been flying the Airbus A380 for roughly eight years, so the superjumbo is about due for a refresh. And now we have an idea of what to expect from the carrier’s new latest and greatest. At next month’s ITB travel trade show in Berlin, Emirates will show off some improvements to its wide-body fleet, including the Airbus A380 and Boeing 777. 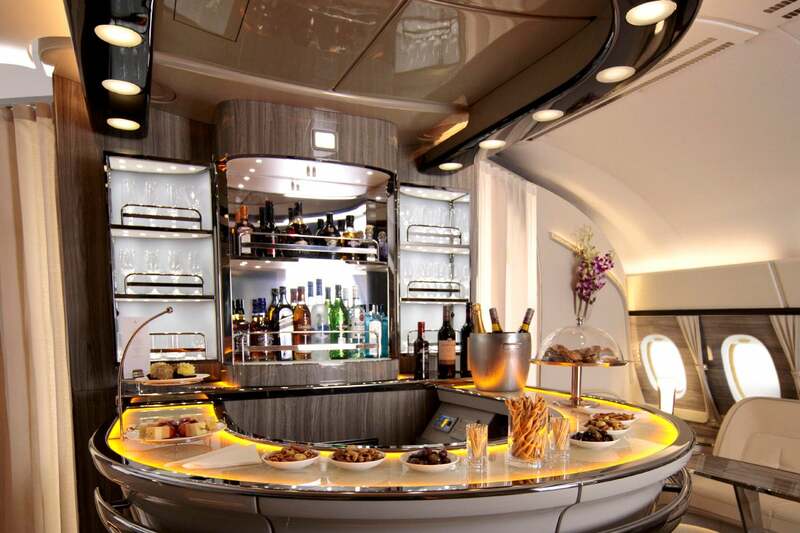 Given today’s fairly quiet unveiling, I wouldn’t be surprised to see a few more details pop up over the next few days, but we do know that the A380’s onboard bar will be getting a major refresh, starting with a new A380 that’ll begin service in July. In our latest revamp, we have taken inspiration from private yacht cabins, and amongst other thoughtful touches, we have increased the seating space, and also made it more intimate and conducive for our passengers to socialise or enjoy our lounge service. The new bar will be a bit larger, with room for 26 passengers, including four in each of two seating areas. The bar was designed to have an “airier” look, which was accomplished by adding lighter colors throughout. 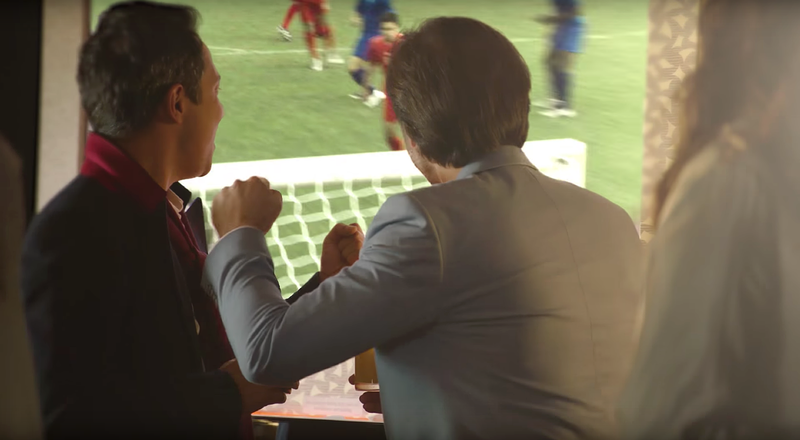 In addition to the stand-up bar and seating areas, there will also be a 55-inch screen with live TV capabilities. Emirates is the world’s largest A380 operator, with 93 in its fleet and 49 more on order. 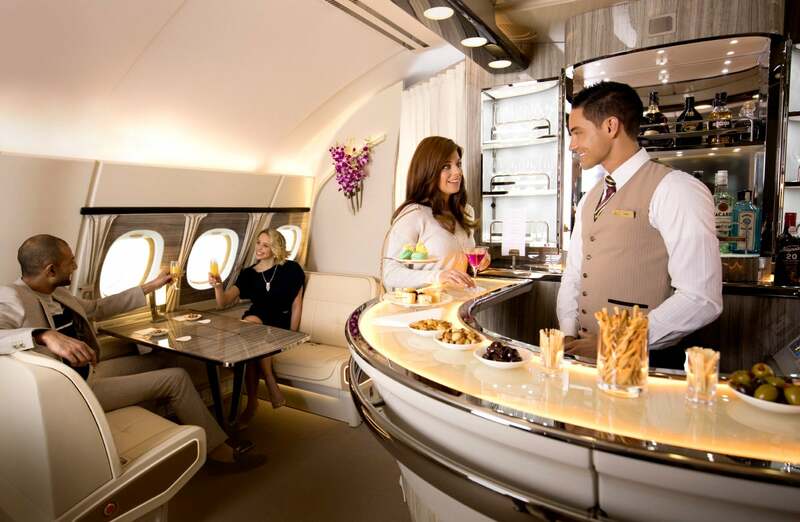 The airline currently flies the A380 to 46 cities around the world, including flights from New York to Milan and Dubai, along with Washington, D.C., Los Angeles and San Francisco to Dubai. 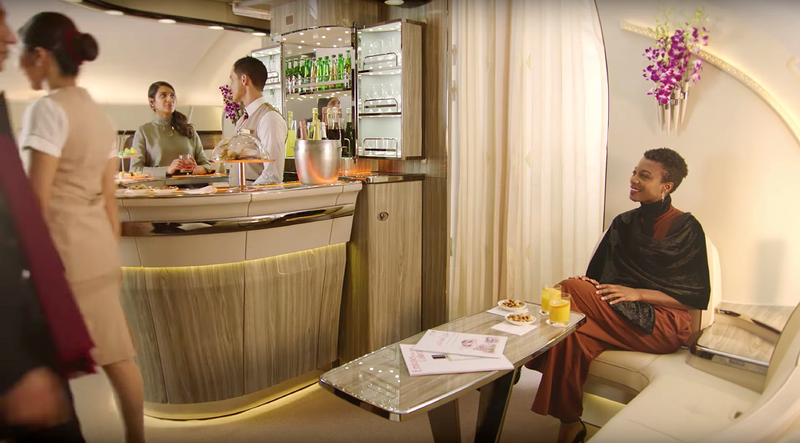 For more on Emirates’ current A380 business class, see Flight Review: Emirates (A380) Business Class From Dubai to New York.